FPE PTA participated in the 40th Annual WSPTA Legislative Assembly Oct 20-21 at Green River College. The event was attended by over 220 delegates from around the State. The focus of the two-day session was to identify the Legislative Priorities for the 2019 & 2020 WSPTA Platform, and vote on new/amended PTA principles & resolutions. Participants learned about the issue proposals, had the opportunity to debate pros & cons, and make amendments. Finally, delegates voted on the top five legislative priorities. Email president@fpepta.org for more information. Falcon families and friends, just a quick reminder about this weeks' Parent Education Event, When Parents Are The Very Best, on Wednesday, September 26th at 6:15pm. All from the community are welcome so please be sure to invite interested friends and neighbors. Naturally and constantly, children develop their understanding of sexuality. Every day they absorb cultural messages and attitudes about gender, relationships, and intimacy. They experience powerful feelings of identity and love. They create stories and confirm “truths.” And as they do this work building comfort and meaning for themselves, children are deciding whether they have reliable help, or not. With warmth and curiosity, Greg Smallidge has helped thousands of parents be more relaxed, thoughtful, and confident sexuality educators for their kids. Come with your questions, answers, and wonderings and leave in a much better position to best help the kids in your care. This evening promises immediately useful ideas, great conversations, pictures (of course! ), behind-the-scenes stories, and so much more! Join us on Saturday, September 15th from 8:00-11:00 a.m. to finish mulching the enclosed courtyard and the space next to it! Bring your work gloves and your wheelbarrow if you have one. We will be moving mulch up the ramp from the playground and laughing along the way! 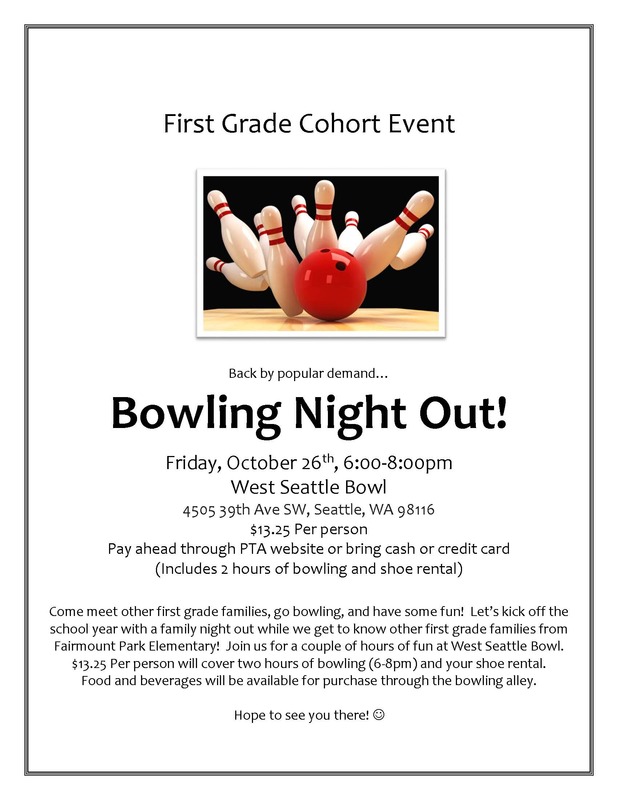 If you can make it, send an email to Ms. Kelly at kakelly@seattleschools.org. What better way to start the first week of school than connecting with old friends and meeting new classmates! Please join us, Friday, September 7th, 6-7:30 pm in the courtyard and lunchroom. Bring some food to share, a utensil to serve it, and a note if it contains nuts/dairy/wheat. Also, we suggest bringing a picnic blanket or camp chairs if the weather is nice. We hope to see all families there! After discussions and approval at the final PTA meeting this Spring, the FPEPTA will be bulk ordering school supplies this year to help simplify purchasing, and make the process more equitable, economical and efficient for families. FPE families will pay a reasonable, one-time annual school supply fee to provide the communal supplies teachers request each year and the PTA will order and deliver the supplies to teachers classrooms in advance of school. Additional information, including a link to pay the fee will be provided in the back-to-school information sent in August. If you have questions please contact the PTA at board@fpepta.org. The BIG Courtyard Weed-Out CHALLENGE! WHAT: The BIG Courtyard Weed-Out CHALLENGE! The full budget of priorities and spending. Free child-care to be provided! Kids + Race empowers adults and children to take responsibility for dismantling racism through honest conversations and loving action. Race still matters in America today. How can we raise children who go beyond the superficial notion of colorblindness to see and challenge the ways that privilege still shapes our lives? How can parents prepare to seize the teachable moments that arise when we least expect them? This workshop will focus on identity development and cultural norms. Presenters will discuss how narratives and counter-narratives shape our children's personal and racial identity development. This workshop will be led by Jasen Frelot. Jasen is a father, husband, community organizer, early childhood educator and social justice advocate based in Seattle. He is the founder and Executive Director of Kids + Race, a new non-profit organization focused on educating parents on how they impact their children’s racial identity development. Jasen is also the founding director of Columbia City Preschool of Arts and Culture, a preschool founded on the principles of racial equity.